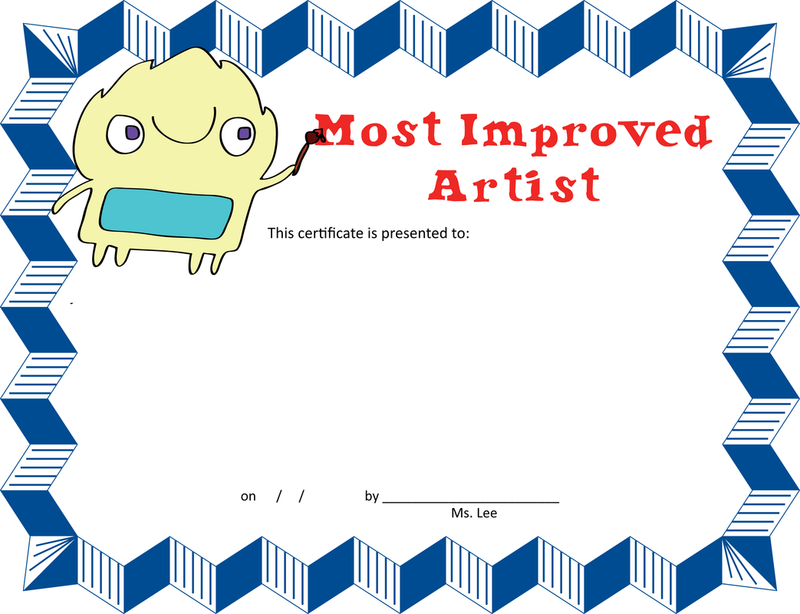 My art therapy students get awards monthly, but it’s usually two people per class with “artist of the month” and “most improved artist”. 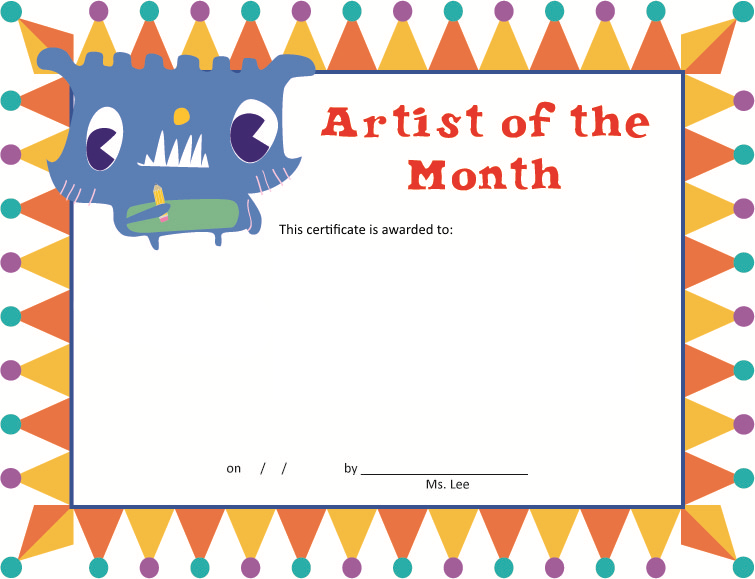 At the end of the year, they do it differently and I’m doing different awards for about half the kids and the music therapist is doing the other half. I searched for different art awards, and got nothing helpful. Well, there were ones that related specific artists, but that would go over my students’ heads. Publishing just in case anyone is ever in a similar scenario. Some were more specific (like Master Monster Maker) to the kid so I’m not listing those. for example, I did a "The Next Oldenberg" award for a student who loved building giant things that he could never take on the bus.